In honor of National Cat Day and inspired by the US Naval Institute's historical images of cats in the sea services, we assembled some of the most adorable photos of military personnel and their animals. Good photos. I never thought of cats being mascots . 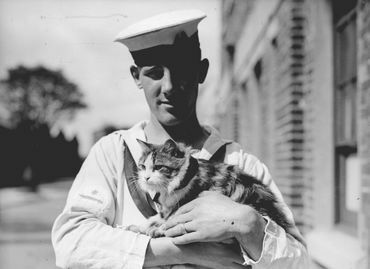 These military men and cat pictures are wonderful. 'The battle cat of Bunker Hill' - How precious!! !